Last Friday night of the month? Put your kids to bed or place them in the right seat and start your engines, as vACC Switzerland launches the latest addition to its event catalogue at Geneva International Airport (LSGG). With a single concrete runway, controllers face the challenge of getting the timing just right, in order to clear you to land just seconds after departing traffic’s gear has left the ground. Needless to say, expect late landing clearances. Waiting at the holding point? Get ready to line up behind landing traffic or execute a rolling takeoff, for there is bound to be traffic on final awaiting that late landing clearance. We are up for the challenge, fully staffed and ready to get you in and out safely, one by one. 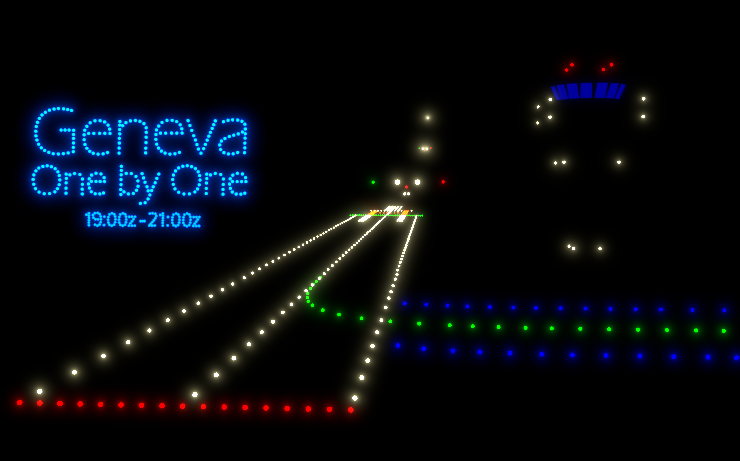 Look out for the chain of landing lights on the ILS in Geneva, every last Friday of the month from 1900z to 2100z.